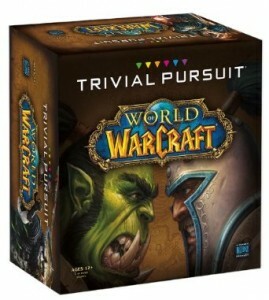 The demand for the recently released Official World of Warcraft Edition of Trivial Pursuit has been insane! 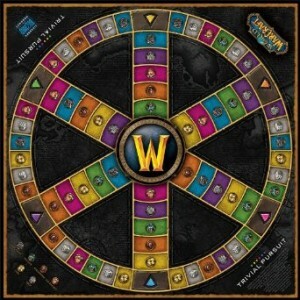 Having only been released for a few days, the Warcraft Trivial Pursuit quickly became one of the best selling board games on Amazon! Trivial Pursuit is a well known, long established game and one of the most recognized family friendly board games and the Warcraft version should make many gamers happy. Just how well do you know your lore and other WoW trivia? 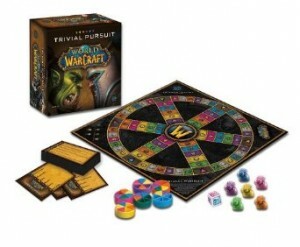 Old and new World of Warcraft players alike can test their knowledge of the World of Warcraft universe with this Warcraft Edition of Trivial Pursuit. This Warcraft Collector’s Edition Trivial Pursuit board game includes custom baby Murloc counters for traveling around the board as well as the more familiar little ‘pie slice’ holders to keep track of your progress. This edition will make a great gift for any Warcraft gamer or anyone who previously enjoyed playing World of Warcraft. Monopoly: World of Warcraft Collector’s Edition – Monopoly done World of Warcraft style. This is also a great Christmas gift for World of Warcraft fans and gamers alike. Risk: Starcraft Collector’s Edition – Starcraft version of the popular strategic board game Risk! Who doesn’t love a great game of Risk? World of Warcraft – The Adventure Game – The WoW Adventure Game also has a lot of additional content that can be added with the extra available expansion packs. Starcraft: The Board Game – Get your Zerg on with the Starcraft board game!